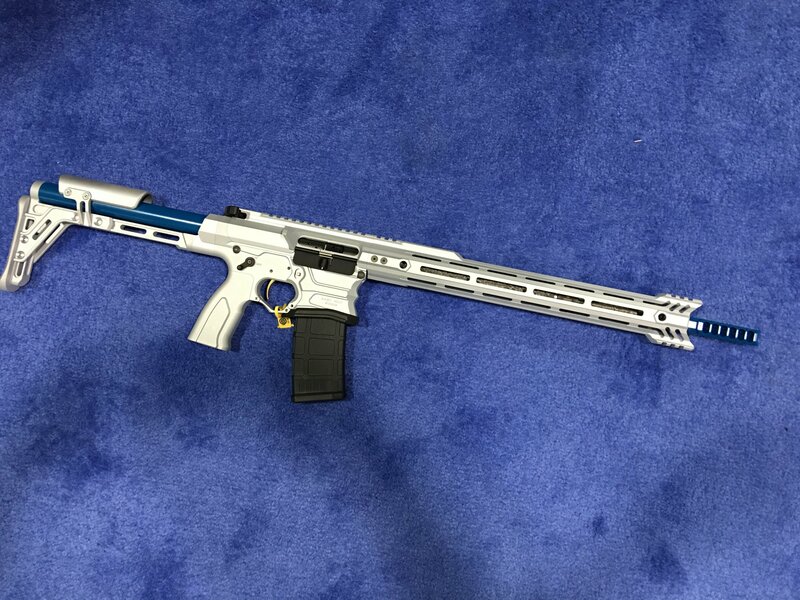 Cobalt Kinetics CARS (Cobalt Advantage Reloading System) Update: CK Evolve Combat/Competition AR-15 Rifle/Carbine and New Black Line Tactical AR’s with CARS 2.0 Coming Soon! (Photos and Video!) | DefenseReview.com (DR): An online tactical technology and military defense technology magazine with particular focus on the latest and greatest tactical firearms news (tactical gun news), tactical gear news and tactical shooting news. 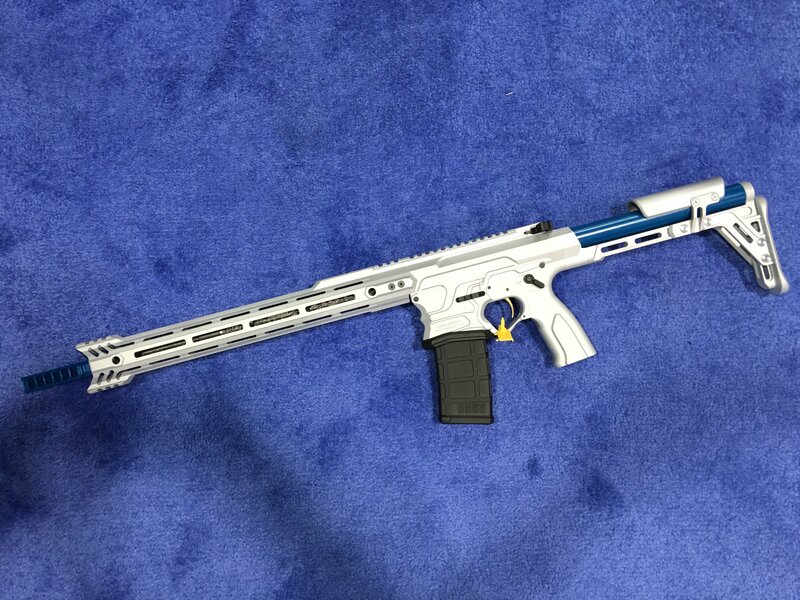 DefenseReview first reported on the Cobalt Kinetics Evolve AR rifle/carbine and its CARS (Cobalt Advantage Reloading System) mechanism technology for combat and competition (3-Gun) back in early January (2016), and we’ve been keeping abreast of the system’s development ever since. The folks over at CK have been busy little beavers lately working on product-improving the CARS mechanism into CARS 2.0, and it sounds like things are going quite well in that regard. 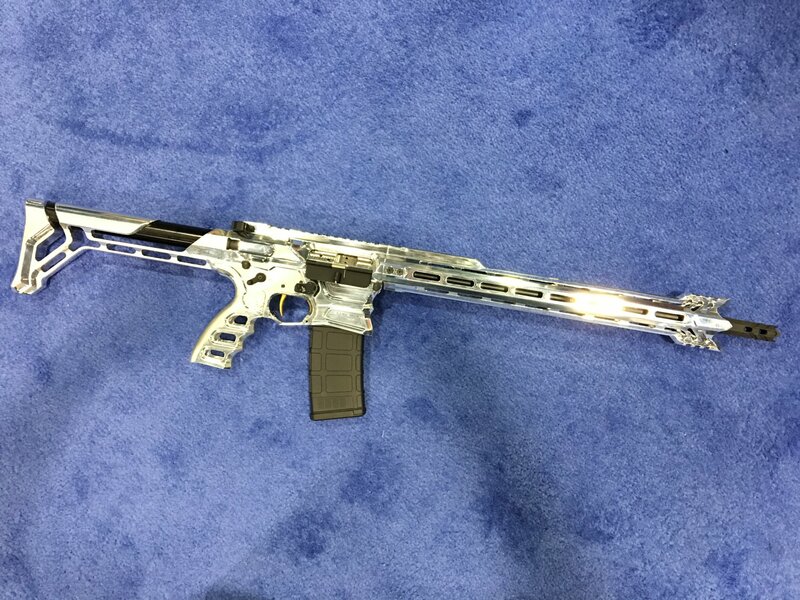 Here’s the update on the Evolve rifles. CARS 2.0 is being fit to work with a variety of mags. It is ejecting the mag rather than dropping it and it will have a defeat built in so the operator can choose when to use it. We will release 25-50 to current dealers first around July. The full release has yet to be set in stone. 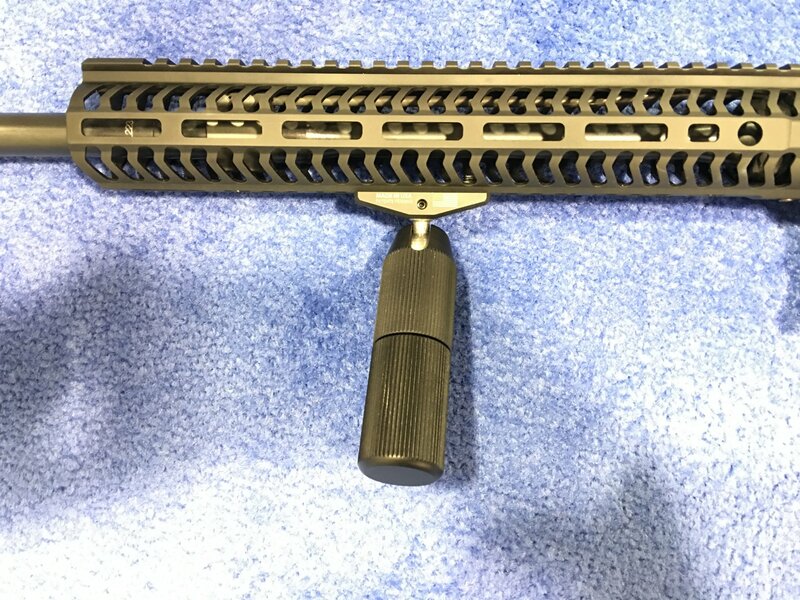 The buffer system comes with three weights and two springs allowing the shooter to customize the recoil impulse. Using the lighter spring and heavy weight leave the gun with almost no recoil coupled with the comp, adjustable gas block and low mass BCG. Using a heavier spring and lite weight gives the gun a heavier implies that some shooters prefer. The shooting team (Keith Garcia, Kalani Laker, Rick Birdsall and Nick Atkinson) has had great success in this young 3 gun seasons. 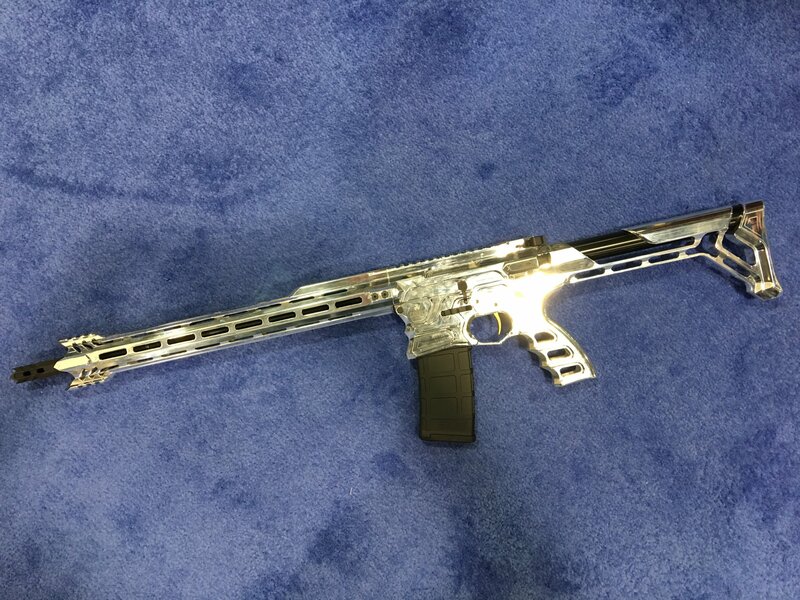 Racking up wins at the 3 Gun Nation Southeast Regional, the Texas 3 Gun Championships, 3 Gun Nation Pro Series qualifier and the Wild West 3 Gun. 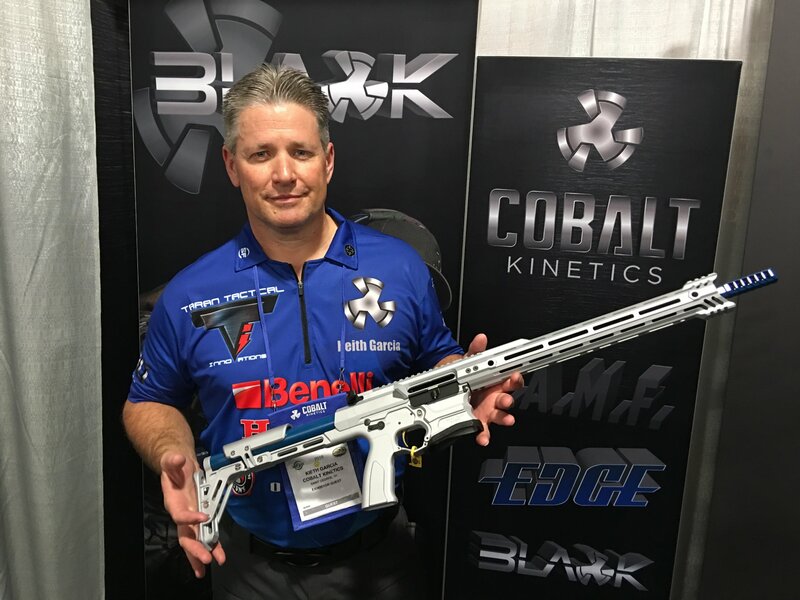 We also just found out from Lamb that customers will have the option of purchasing Cobalt Kinetics Black Line guns with or without the CARS system, depending on customer preference. In Defense Review’s opinion, the Evolve’s CARS mechanism is the most important thing to happen to combat/tactical AR’s, and to combat/tactical rifles in general, in a long time. We think it’s important. 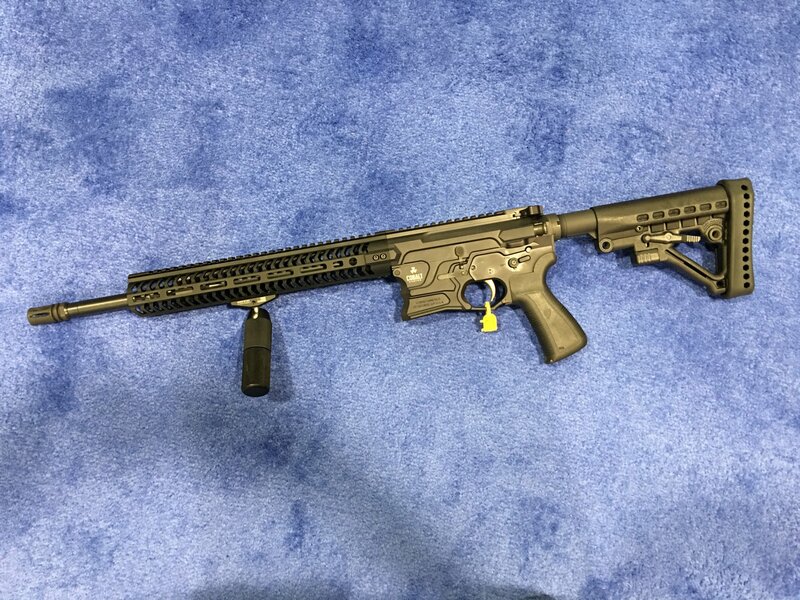 Editor’s Note: Notice the very interesting Mid-Evil Industries 360 VFG Picatinny (Vertical Fore Grip, also written “vertical foregrip”) attached to the Cobalt Kinetics Black Line AR shown in embedded photos. 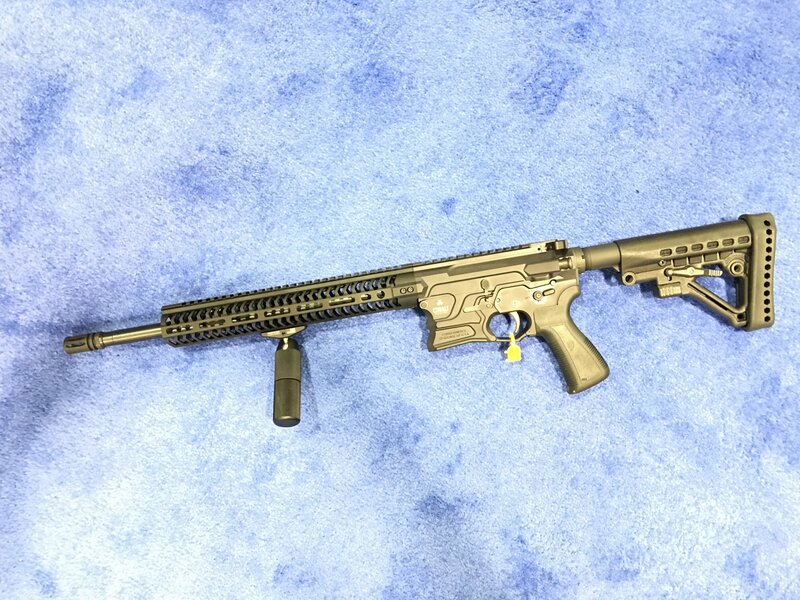 The 360 VFG comes in both M-LOK and KeyMod-compatible models. 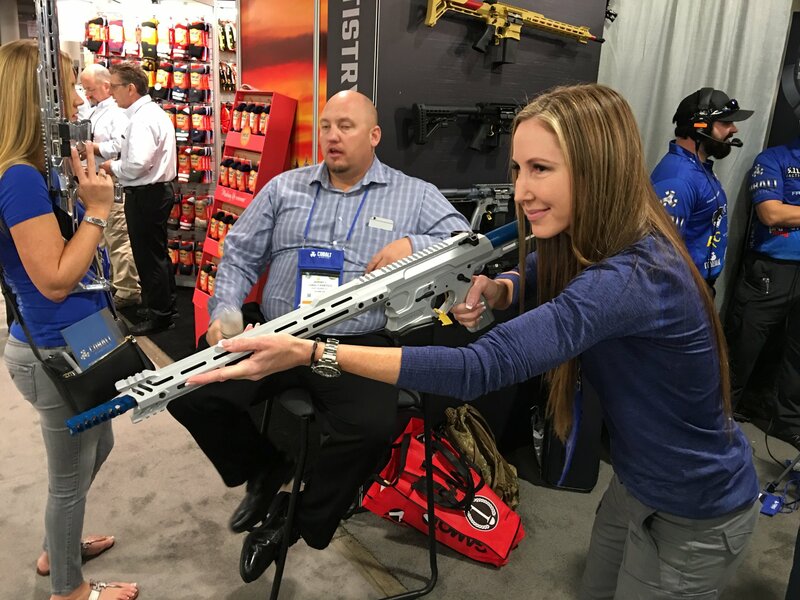 DR got to play around with a 360 VFG a bit at the Cobalt Kinetics booth at SHOT Show 2016. 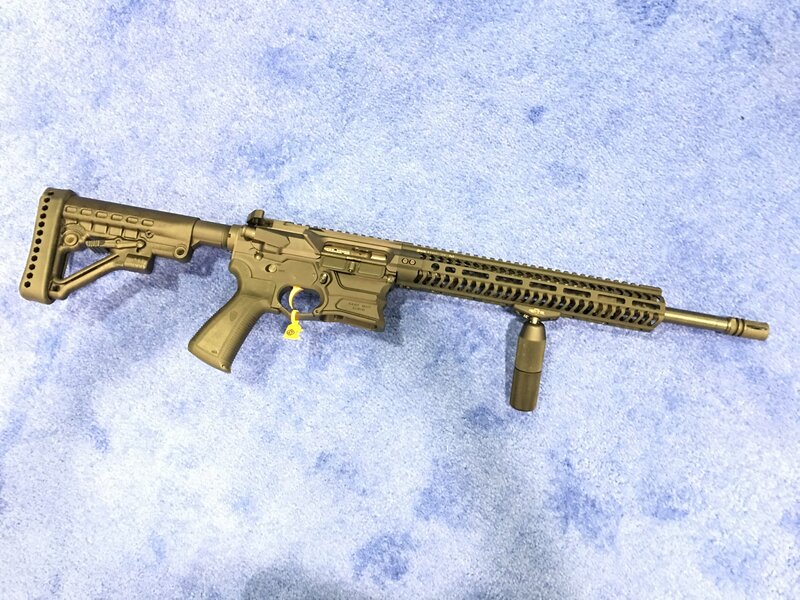 We really liked it, and think it has a bright future in both 3-Gun competition and civilian tactical shooting circles. 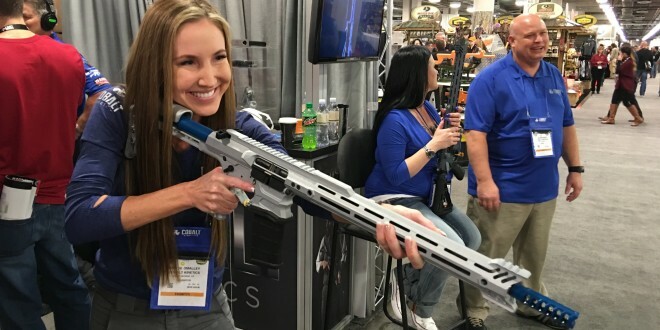 The Cobalt Kinetics folks seemed to really like using it on the new Cobalt Kinetics Evolve 3-Gun competition/tactical AR-15 rifle/carbine/SBR with Cobalt Advantage Reload System (CARS) magazine auto-eject/BCG auto-release feature, which DR’s already covered. 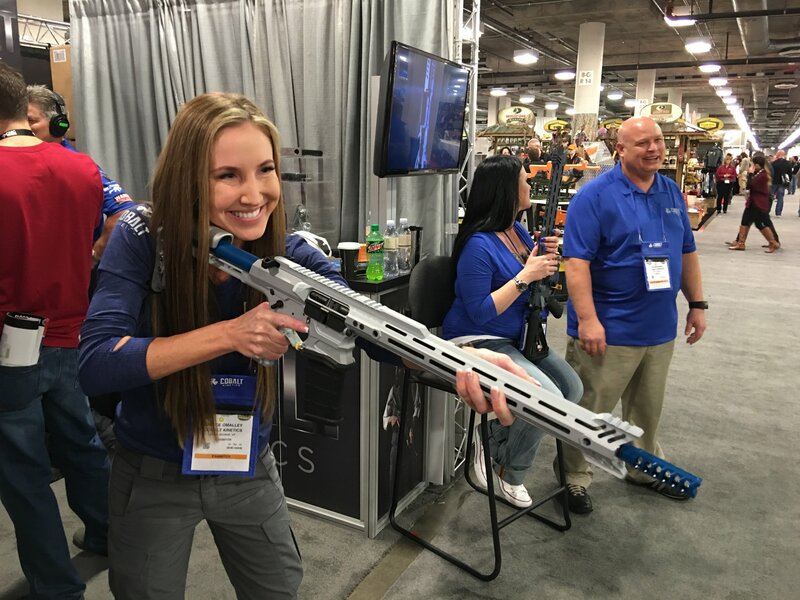 By the way, DR really enjoyed meeting Keith Garcia, Kristie O’Malley and Jeremy Lamb at the Cobalt Kinetics booth at SHOT. You can watch Mr. Garcia talk about the Evolve/CARS AR system in the embedded video below, and you can see Ms. O’Malley handling the Evolve in some of the accompanying photos. They were all very friendly and helpful. Next: Cool Patch Alert: Epik Panda Limited Edition Spartan117GW PVC Combat/Tactical Morale Patch!